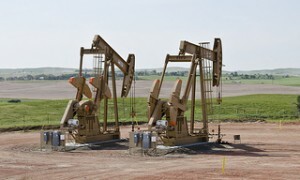 Fracking in Texas Cities: Who's the Boss? When it comes to drilling oil in Texas, all cities aren’t created equally. Laws and regulations vary from town to town and what is okay in one, might be illegal in another. So, who ultimately gets to decide the rules for fracking in Texas cities? Since the city of Denton outlawed drilling within the city limits in 2014, the debate over who has the authority to regulate the oil and gas industry has heated up. In recent weeks, the Texas legislature has introduced legislation in both houses that would remove that control from local governments and give it back to the states. Related: Fracking Bans in Texas? SB 1165 and HB 40 both favor state control that would would limit a city's ability to impose regulations on oil and gas industry activities. The “Denton Fracking Bill” (SB 1165) unanimously passed and asserts that current statutes are already so effective that additional local regulations aren't necessary . It goes on to say that the act would further "preempt regulation of oil and gas operations by municipalities and other political subdivisions." Reactions have been swift from local officials, environmental groups and private citizens. The Texas Municipal League was one agency that blasted the decision saying that if city ordinances are nullified, homeowners could be robbed of their property values overnight and would be stripped of their property rights.